In October 2016 we launched a new addition to our fleet - a Wheelyboat. This is a Coulam V20 developed by the Wheelyboat Trust. Designed primarily for people with mobility difficulties, it comes with a drive-from-wheelchair helm as standard. Its huge 84 square feet of floor space can accommodate up to ten adults including six wheelchair users in comfort. 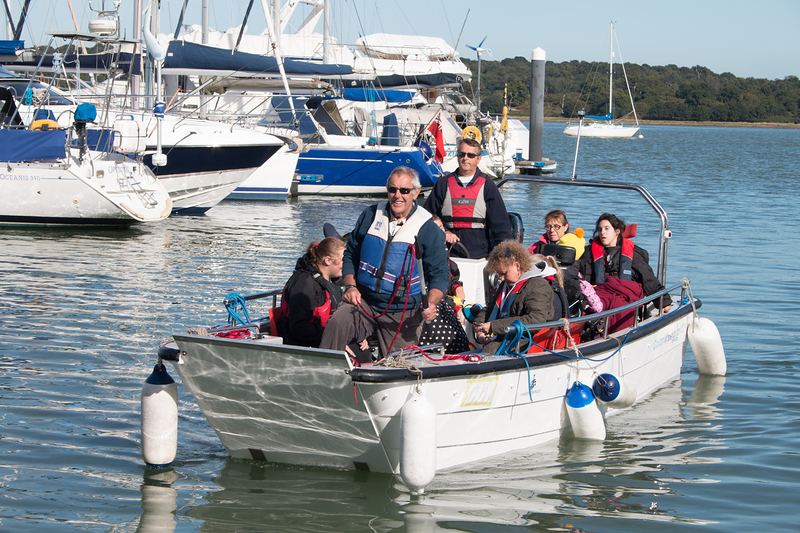 The Wheelyboat operates from Woolverstone Marina from the start of May until the end of September each year. We also use the Wheelyboat for special trips and during 2017 we did two Arthur Ransome themed trips - one on the Orwell and one to the Walton Backwaters where Arthur Ransome set Secret Water.